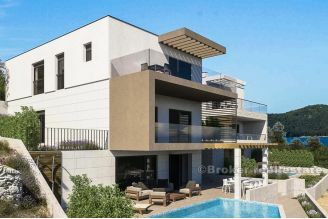 Beautiful detached villa of modern architecture, located on a plot of 400 m2. 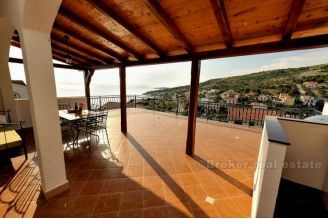 With a total living space of 280 m2, it is spread over three floors. 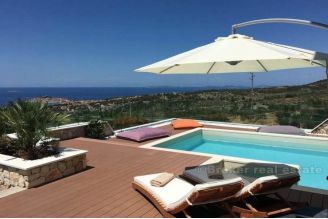 The villa is located only 40 m from the sea and the beach, with direct access, where the two private berths are located. 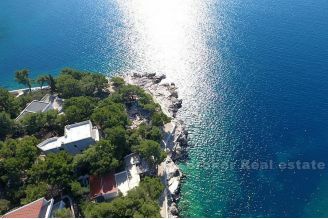 Due to its quiet location, the beach is still not discovered among the rest of the tourist, thus retaining its privacy. 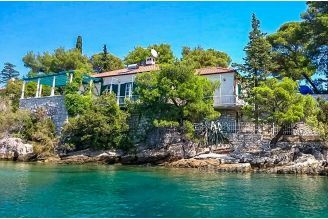 On the first floor there is a living room with kitchen and dining room, and a beautiful terrace with a cultivated garden, full of Mediterranean plants and citrus trees. On the second floor there are three bedrooms and two bathrooms. 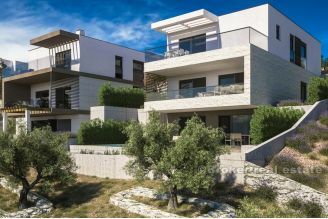 The third floor consists of two bedrooms, two bathrooms, a kitchen, as well as a comfortable terrace with a magnificent view of the entire bay. 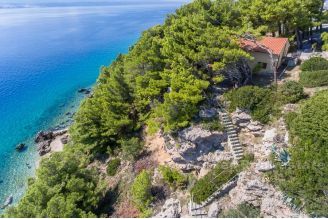 All the above mentioned floors are connected by a stone internal staircase. The property has a simple separation option in three separate apartments. Since the property owns a garage and two parking spaces, each apartment would have the option of parking. 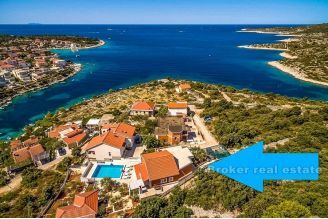 Distance to the town of Primosten is 10 km, and 15 km to the city of Sibenik. Split International Airport is located within a distance of 45 km.